Enrollment in class(es) requires full payment of a non-refundable annual $55 registration fee per student. $75 maximum per family. TWDC reserves the right to cancel or combine classes with another appropriate class when enrollment is low. NOTE: NO REGISTRATION FEE REQUIRED FOR PRE-PURCHASED CLASS CARDS. Tuition is due monthly to hold a student's place in class(es) and must be paid regardless of the student's attendance each month. Some months will have five weeks of class while others have less; however, Monthly tuition remains the same regardless of the number of weeks in a month or holidays. Tuition has been determined for the entire studio year and divided into monthly payments. Sibling discounts apply as follows: 2nd student 10% discount; subsequent students 15% discount. Monthly tuition is due on the 1st of the month and is based on total hours taken per week. A $15 late fee will be automatically applied to tuition not received on or before the 5th of the month. Tuition is non refundable, non transferable between dancers, and not credited due to missed or dropped classes. Unpaid students will not be permitted to participate in classes, recitals or any other special event. Any coupons or discounts can only be redeemed by registering in person. Returned checks will be charged a $30 NSF fee. For your convenience, your credit card on file will be auto-drafted for monthly tuition and other fees to include costume/competition fees and recital fees. If you choose not to participate in automatic draft, please notify the TWDC staff; however, you are still required to provide a credit card to secure the account. If no credit card is available, you must then provide first and last month's tuition. TWDC reserves the right to apply any unpaid tuition or past due fees to the credit card on file. Cash, Checks, Visa & Master Card accepted. For student safety, dancers are only permitted to register and attend classes at the level that the TWDC staff places them in. No student or parent may promote themselves or their child into a higher level. Parents may request an evaluation of student progress. Students ARE permitted to transfer from one class to another at the same level without fees. Tuition will be prorated for classed ADDED mid-month. Tuition will NOT be refunded for classes dropped mid-month. Classes are filled on a first come/first serve basis and class schedules and staff are subject to change without notice. 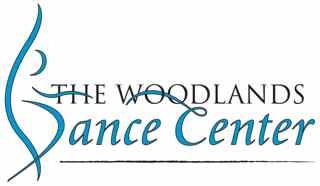 The undersigned gives permission for The Woodlands Dance Center, its owners, employees, and/or agents to seek emergency medical treatment for the participant(s) in the event they are unable to reach any parent or guardian. The undersigned also agrees that they themselves will be responsible for any financial debt incurred by said action. WITHDRAWALS: Students are continually enrolled in classes from month to month unless THIRTY (30) days written notice is given. If a student wishes to drop any or all of their classes, 30 days written notice must be received in our office or the following month's tuition will still apply. DANCE ATTIRE is required for all dance classes. This enables the teacher to properly observe the students body movements for correct form and technique. Hair must be pulled off the face. Absolutely NO JEWELRY as it is a hazard. Dance shoes should only be worn inside the studio. Street shoes are not permitted on the dance floor at any time. Please see TWDC dress code for detailed information. PHOTOS/VIDEOS: I understand and acknowledge that, from time to time throughout the school year, my child's picture and/or video might be taken while participating in dance classes and/or functions involving TWDF. I do hereby authorize The Woodlands Dance Center to use these photographs/video for the purposes of illustration, advertisement and publication in any manner whatsoever. FOOD POLICY: No food or drinks are allowed in the class rooms. Water is OK.
TWDC IS NOT RESPONSIBLE FOR PERSONAL ITEMS LOST, STOLEN, OR DAMAGED. DO NOT LEAVE PERSONAL ITEMS UNATTENDED. THE YEAR begins June 1st and ends May 31st. All enrolled students must re-register during May/June for the following year. Annual registration fee is $55.00. As the legal parent or guardian, I release and hold harmless The Woodlands Dance Center, its owners, employees, and/or agents from any and all liability, claims, demands, and causes of action whatsoever, arising out of or related to any loss, damage, or injury that my be sustained by the participant and/or the undersigned during the course of The Woodlands Dance Center dance program, including special events, and transportation to and from such events.